thanks for the email update, i would not have know this because i am taking today off the computer except for checking emails. 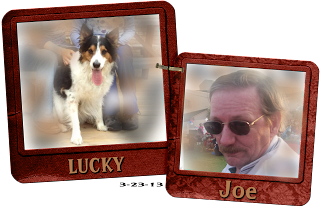 my heart is so happy for Lucky and Joe and his family. Yeah! FB Yeah! Debra! Yeah! 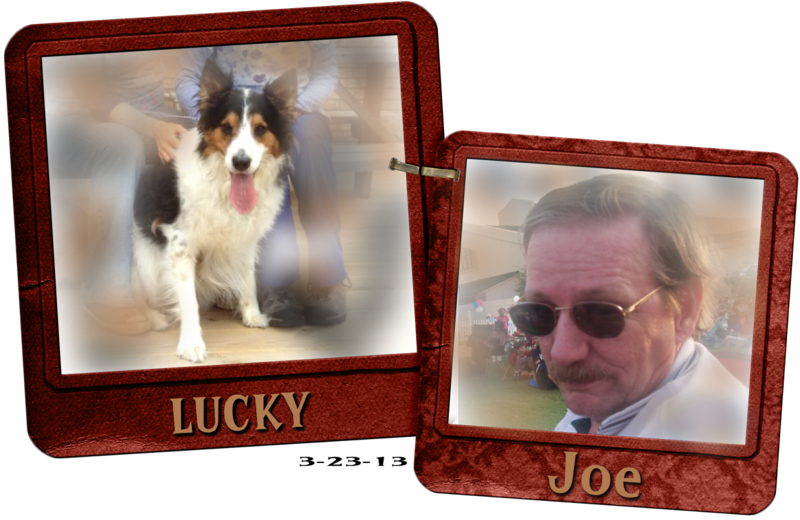 Joe and triple Yeah for Lucky... heart warming story to wak up to. Lucky Lucky! That's a wonderful story. Kudos to Joe and his wife for coming to the rescue. And you for putting Lucky's plight out there. What a wonderful ending! So nice to meet you via blogger, Sandra. Ah, I love happy endings. Awww!! I Love happy endings...Thank you so Much for the sweet comment you left on my blog! How wonderful is blogland?!! Am following you...don't want to miss a thing!